What is this Standard Peripheral Library (SPL)? It’s just a collection of hardware libraries that provide an easy approach to any STM32 ARM programmer. It has support for every peripheral a STM32 micro has like CAN, USB, ADC, Timers, etc. In short it’s a hardware abstraction layer fully covering the STM32. Why use the ST SPL? Reduce coding time by spending less time figuring out 32 bit register values and going through a near thousand page reference manual. Take the advantages of the built-in code library of MikroC which other compilers don’t offer. SPL is used by most STM32 ARM programmers and so it is a widely used tool with a large community. Most books and documents on STM32 ARMs are based on SPL. A compiler like MikroC doesn’t give full focus towards STM32. It has other ARM concerns like TI’s TIVA, NXP, etc and so MikroC’s built-in libraries are not 100% compatible with all ST hardware. Following the previous point MikroC (at least at the time of writing this article) doesn’t give library support for hardware like the DMA and so there’s incompleteness to some extent. It is also worth noting that depending on MikroC’s library also has the disadvantage of code size and efficiency. It is in general true for every compiler. However MikroC’s IDE is cool enough to do things with ease and that’s why I like it. Unless you are a Maple or Arduino fanboy, you’ll get my point. Modified ST Standard Peripheral Library (SPL) as supplied here: STM32 Standard Peripheral Library for MikroC. It works for STM32F10x micros only. MikroC PRO for ARM compiler. Flash Loader Demo or ST-Link Programmer Software. A USB-Serial Converter or ST-Link Programmer. Some basic components like a mini bread board, connecting wires/jumpers, a LED, a 220Ω 0.25W resistor and a push button. How to use the Standard Peripheral Library? 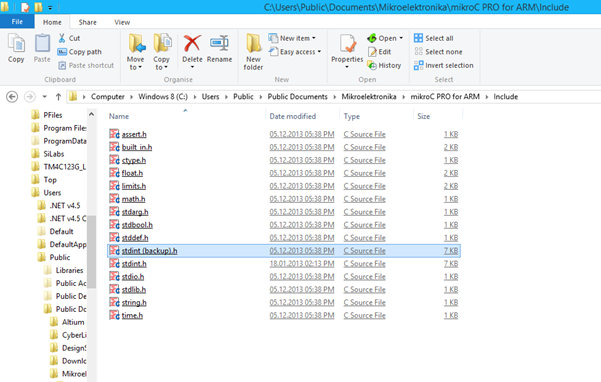 In this folder there’s a file named stdint.h. It’s basically a definition of variable types and other related stuffs. Rename it to stdint (backup).h and copy the new stdint.h file from the supplied folder to this location. We are done here. With so many other development platforms already out there in market, DSP Robotics, in collaboration with MikroElektronika, is going to introduce a new tool, FlowPaw, for rapid prototyping with electronics and robotics. 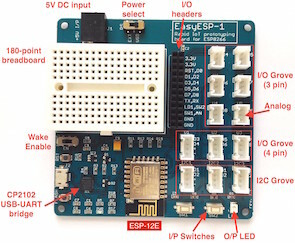 FlowPaw is an expandable development board that carries a STM32F415RG MCU and four mikroBUS™ sockets, which provides a simple Plug-and-Play solution for connecting mikroElektronika’s several dozens of accessory boards called Click Boards. The Click boards are available for a wide range of applications including GPS, WiFi, MP3 decoding, Bluetooth, CAN, IrDA, GSM, and Ethernet. 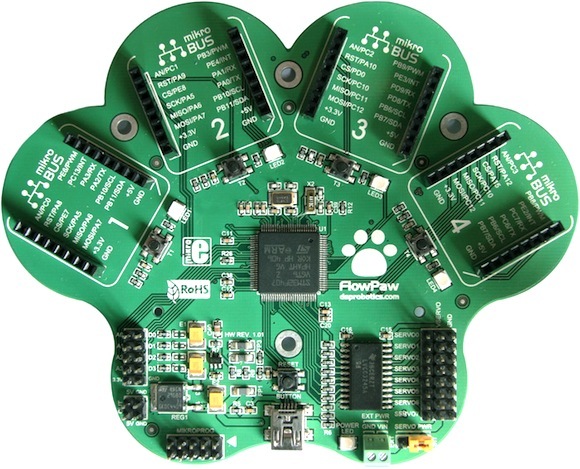 The FlowPaw is programmed directly through a PC USB port using FlowStone, a drag-and-drop programming tool. For those who are interested in getting a first-hand experience with FlowPaw, DSP Robitics is currently running a crowdfunding campaign over Kickstarter. 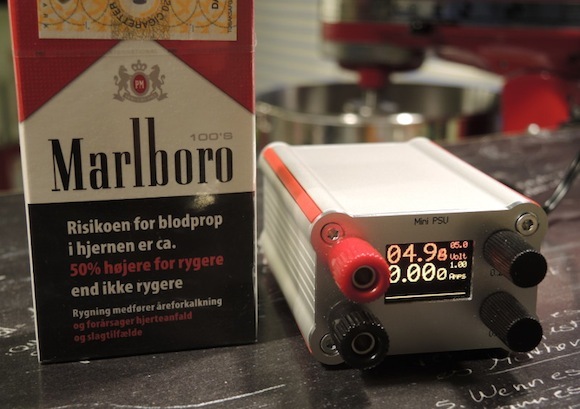 This compactly designed power supply uses STM32 microcontroller to compute the power supply output voltage and load current, and display these parameters on a RGB OLED display. The input to this power supply is a 24V DC , and the output can be varied from 0V to 24V at 0A to 3A. 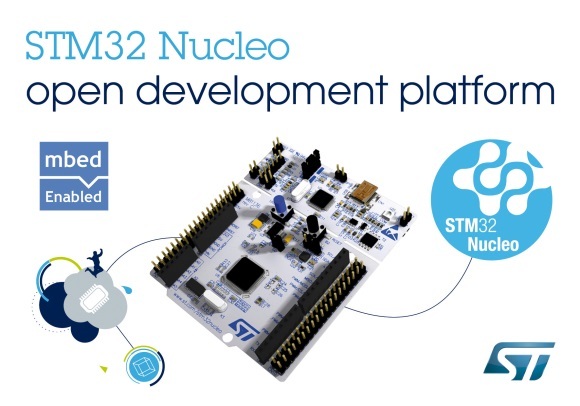 STMicroelectronics reveals affordable, extensible platform called STM32 Nucleo for efficient prototyping with STM32 Microcontrollers. 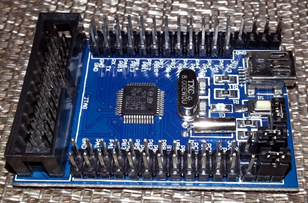 The STM32 Nucleo development boards are mbed supported, and have Arduino pin headers on board so that the tons of existing Arduino shields can be easily used with these boards. The new STM32 Nucleo boards are mbed-enabled, and support Arduino connectivity while also providing ST Morpho extension headers that allow access to all of the microcontroller’s on-chip peripherals. As an mbed-enabled board, developers can make use of the mbed open source software platform, online tools and collaboration infrastructure at mbed.org. The board’s Arduino headers accept shields from the extensive Arduino ecosystem, allowing developers to add specialized functionality quickly and easily. ST will also offer its own dedicated shields supporting functions such as Bluetooth® LE or Wi-Fi® connectivity, GPS, audio recording leveraging the Company’s MEMS microphone expertise, proximity sensing, and wireless control.